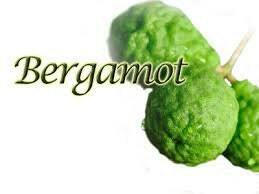 Properties: (Bergetine Free) An energizing citrus oil of spicy-floral freshness. Great aroma to balance the mind. Said to increase ones sense of humor and well-being. Add a few drops in a diffuser to freshen the air. Sniff directly from the bottle to feel fresh and fight melancholy. Add a few drops to your unscented body care to help for a luxurious experience. Blends well with many different oils, "lifting" a blend to make it appear more energetic and lively. Neroli, Ylang Ylang, Patchouli, Palmarosa, Geranium, Rose, and many others. Essential oils are natural aromatic compounds found in the seeds, bark, stems, roots, flowers, and other parts of plants. Essential oils can present very pleasant aromas and very powerful aromas. Essential oils are generally extracted by distillation, typically by using steam or other processes including expression or solvent extraction and cold pressed. Essential oils are often used in soap production and aroma lamps for aromatherapy as well as added to butters and lotions. Essential oils can also be used for adding scents to incense sticks and household cleaning products. Please do your own research on the different claims each oil makes. We cannot reuse any essential oil that has left our facility. Therefore we cannot refund essential oil orders. Please make sure that you are ordering exactly what you want. The photographs that I use for my fragrance and essential oils are stock photos. Awesome as always- thank you!